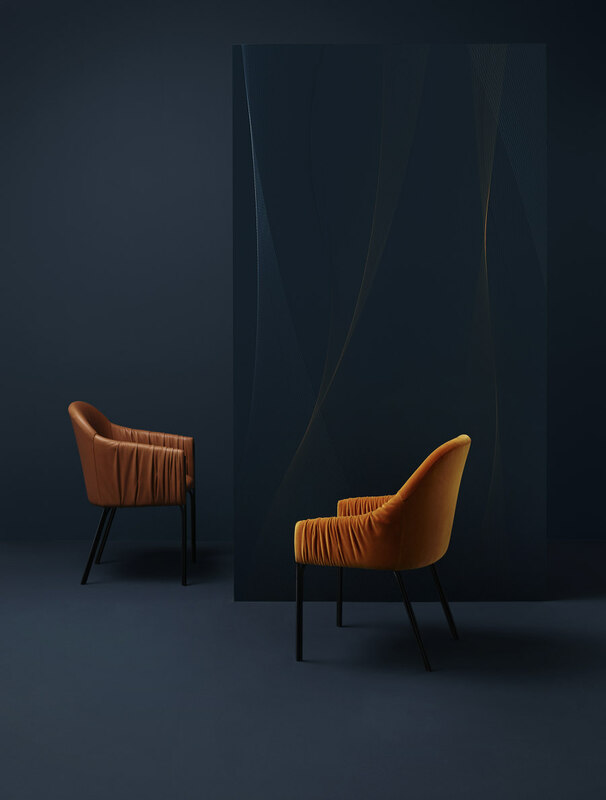 Contrasting creative currents have often inspired each other, and this has proven true once again in the collaboration between the young Czech designer Lucie Koldova and the German seating furniture manufacturer Freifrau. 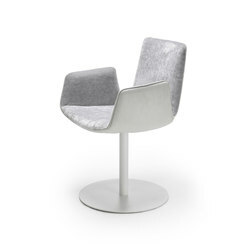 Celine, her new chair model, combines charismatic expression with a playful lightness. 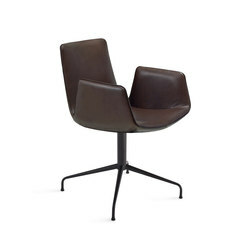 Furniture designers consider chairs one of their most exacting tasks, no doubt in part because so many have already been designed. 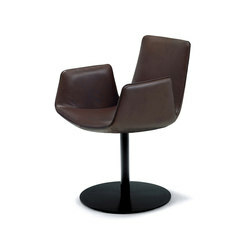 But, it also has something to do with a chair’s fixed measurements, which the designer must always bear in mind. The challenge lies in creating a unique and distinctive product. Koldova, who has worked extensively in the area of lighting design, was able to bring a fresh angle to the commission. ‘Developing a good chair is complex because you have to consider so many factors and work with set dimensions,’ she says. 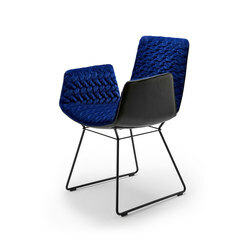 Koldova knew how to move elegantly within these tight constraints and formulated the core concept right from the first sketches – the folds, the low-angled/flat backrest, the transition from plane to curve. 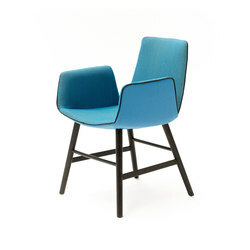 Koldova’s unbiased approach may have been an advantage: Celine was her very first upholstered chair. 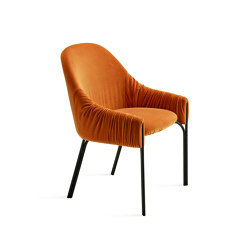 She sought to design not an eye-catcher that would dominate a whole room, but rather a beautiful object with a reserved elegance – a chair that would look good in various materials and, of course, be comfortable. 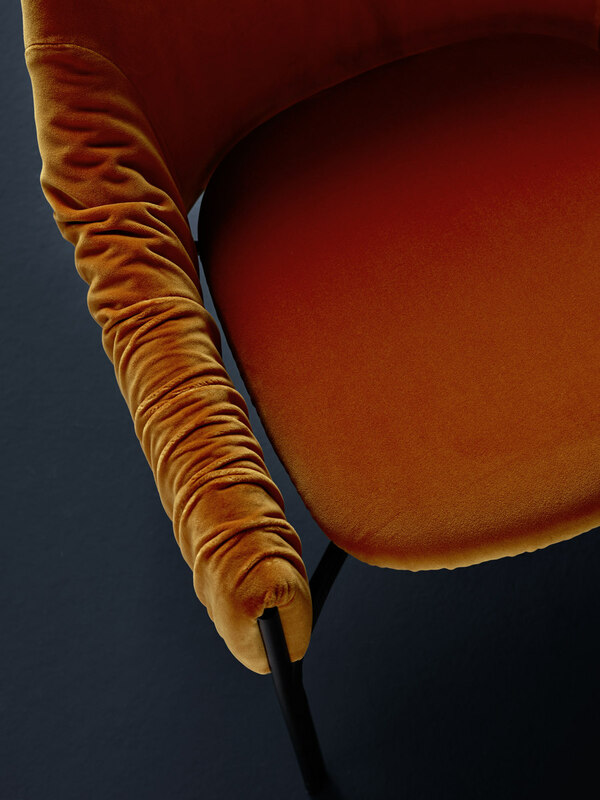 Combining the Freifrau product philosophy with her own vision, she drew elements from the fashion world, like loose fabrics and a touch of nonchalance, into her design. 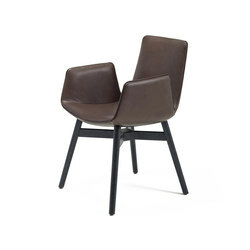 Koldova takes the fact that both she and Freifrau repeatedly returned to the original idea during the design process as affirmation that they found the right form for the chair. Once again, instinct showed the way.